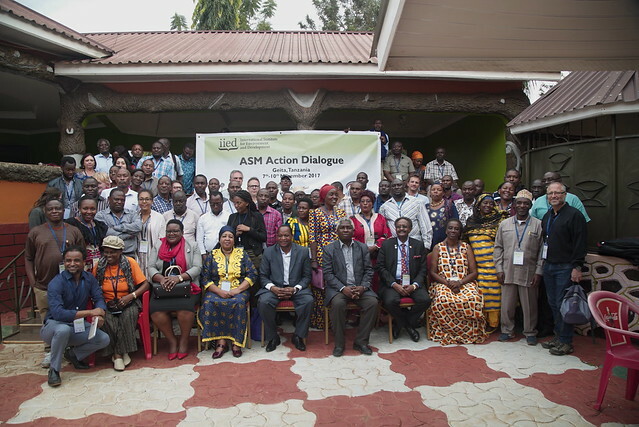 IIED's second country dialogue in a series of local multi-stakeholder dialogues on ASM started in Tanzania in September 2016. The dialogue event followed months of intensive research and engagement conducted in collaboration with our national partners, HakiMadini and MTL Consulting. Mining in the East African country is a major and rapidly growing part of the economy. Approximately one-and-a-half million people are directly involved in ASM. Artisanal miners dominate most of the country's coloured gemstone production, which includes many coveted stones such as tanzanite, tourmaline and garnets. Women make up 27 per cent of the overall ASM workforce and often face the greatest hardships. IIED and its partners ran a series of preparatory workshops and thematic discussions in six key mining regions during 2017. These sharpened the research and helped build trust and good will among stakeholders. IIED research partner MTL Consulting undertook substantive fieldwork. They visited more than seven sites that mine gold, gemstones, diamonds and industrial and building materials. Haki Madini, the convening organisation, rolled out a communications strategy to inform and engage stakeholders. This pre-dialogue phase helped participants become ready to work collaboratively to set out priority actions and focus areas. Participants agreed to concentrate on solutions and good practices that demonstrate how ASM can be an engine for sustainable development in Tanzania. Participants set out immediate actions for each of the six pillars. These were organised as changes needed to policy and regulation; knowledge and research gaps; communication and engagement needs; and capacity and resources needed. IIED will continue to work with its Tanzanian partners to refine the results emerging from the dialogue. This will include developing a 'road map' that can guide future actions and setting up a Learning and Leadership Group to steer its implementation. A series of additional thematic dialogues are planned to follow in 2018. IIED is working in a number of countries to convene multi-stakeholder dialogues on artisanal and small-scale mining. Further locally driven processes are already under way in Ghana and Madagascar.